How do I delete a computer from Parallels Access? I would like to delete one of the computers from my Parallels Access, as I do not need to connect to it anymore. 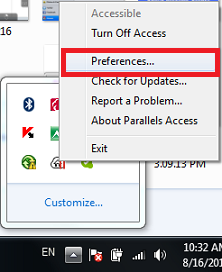 On the computer you want to remove, open the Parallels Access agent by clicking the Parallels Access icon in the menu bar (Mac) or task bar (Windows) and choose Preferences. Go to https://access.parallels.com/ and sign into your account if necessary. Click on Computers and locate the computer you would like to remove. Make sure the computer is in Offline status. Click the recycle bin icon under the computer. 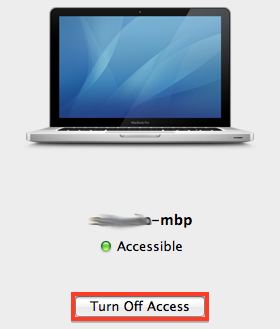 Then confirm removal by clicking the Delete button. 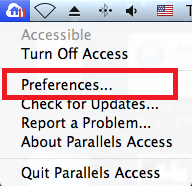 The unnecessary host will not be displayed in Parallels Access anymore. You may also wish to uninstall the Parallels Access agent on the computer you removed. Please check KB #117142 for details.